There’s one colour that kept popping up again and again at AW18 fashion shows — and that was stand-out shades of mustard. Seen on the catwalk over at Isabel Marant and Moschino, this is the colour to add into your wardrobe this season. Keep reading for our edit on the must-have items to buy now. This is the perfect must-have item to layer with your favourite cashmere jumper or button down blouse. 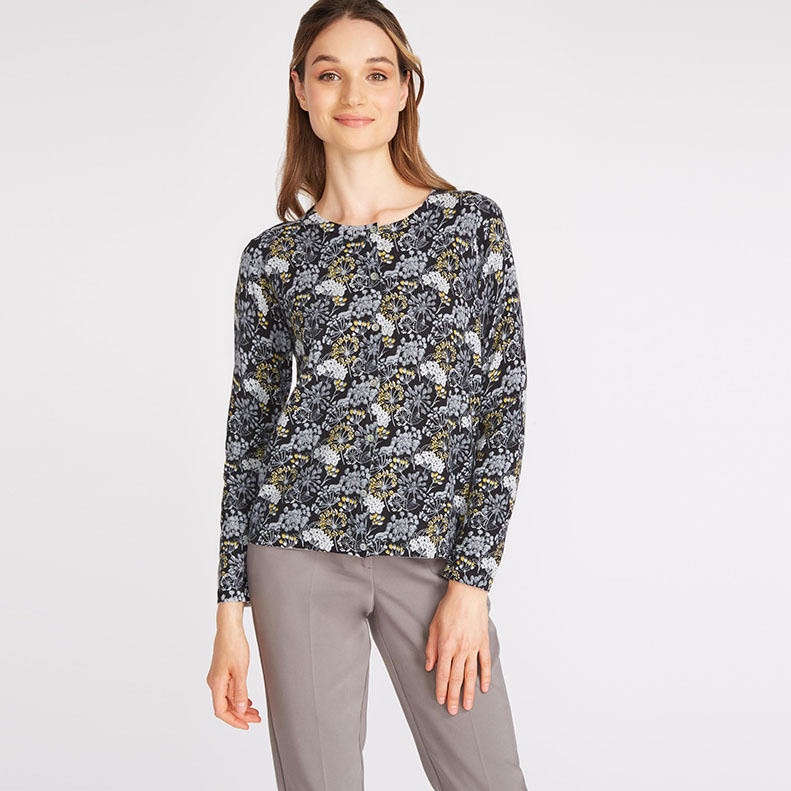 Spice up your everyday work outfits with the playful dog print that’s not over the top. Tie it in a simple knot, or style it in a high pony and let the print peek through your updo. You can’t go wrong with handkerchief scarves! As the days get shorter (and colder), it’s time to build your new capsule wardrobe with all of those lovely items that will carry you through right until next Spring. One of the items we’re most thrilled about from our new collection launch is the versatile Pleated Check Skirt, designed not only for warmth but for style as well. We can’t get enough of its classic print and how it will be an autumn staple. Wear it paired with a vibrant mustard coloured jumper, tights, and black boots for a cold walk to work and change into black heels when headed for after-office drinks. You’ll want to wear it all week! 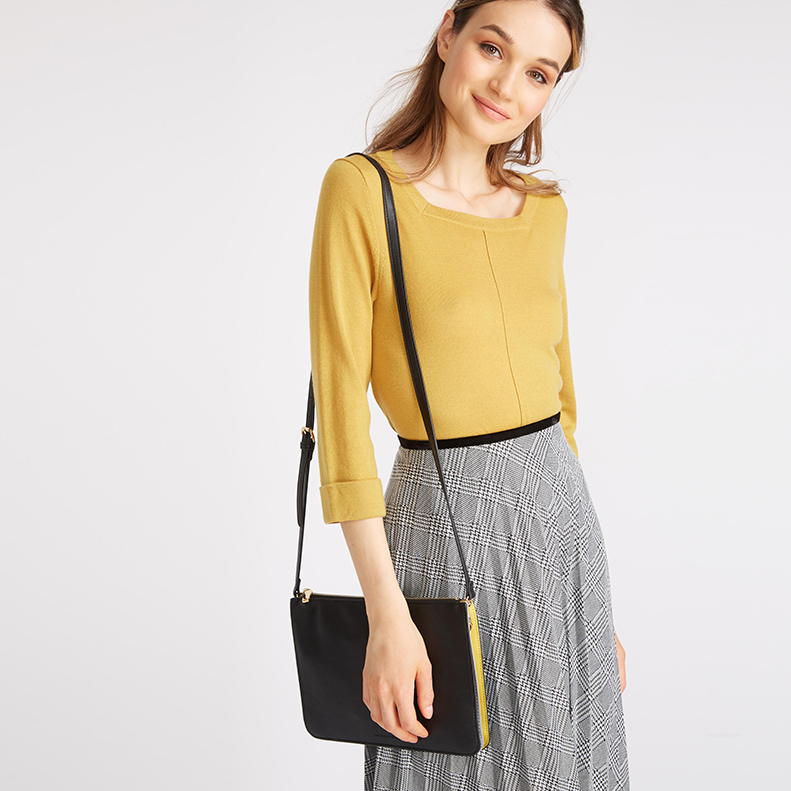 Tie in the mustard trend with the ever so slight hint of the autumnal hue in our new Cross Body Bag that’s perfect for throwing in the essentials. New tops are always a good idea, especially when they have playful pops of mustard. There is always need for playful tops that can be worn with your favourite pair of jeans or a simple skirt during the week. 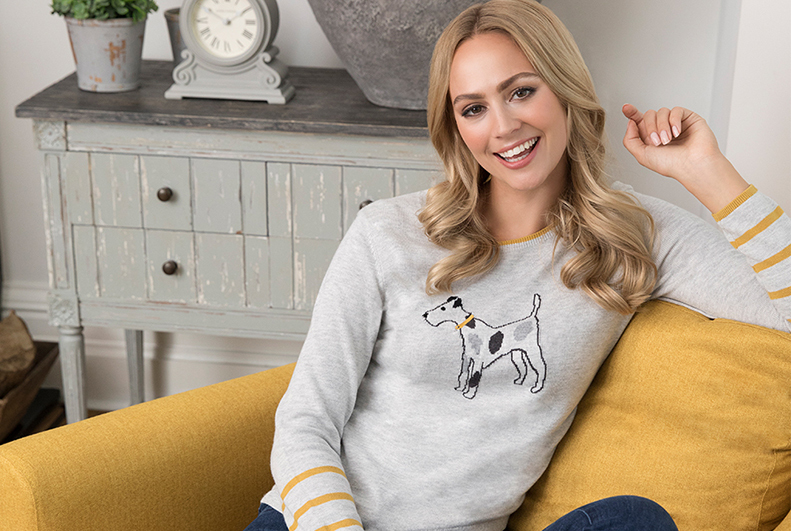 Get your hands on our Knit Dog Print Sweater and style with your favourite trousers for a low-key mid-week look. Its soft feel, adorable graphic, and versatility has made it one of the must-have items we’re going to wear all season long. Perfect to wear in the office during the day, but brilliant to elevate with pumps for dinner. This cardigan has been re imagined for several seasons, proving it really is one of the best pieces to invest in now. With the weather turning colder, don’t let the chilly mornings put you off from wearing florals; you’ll brighten up your winter even if the sun isn’t shining. Autumn, we are ready for you! What is your favourite mustard-coloured piece from our edit? Let us know your thoughts over on our social media accounts @LauraAshleyUSA or by tagging #LauraAshleyUSA. This entry was posted in In Style and tagged 3/4 sleeve sweater, accessories, apparel, Autumn, autumn outfit, autumn style, colour, crossbody bag, dog print, dog printed scarf, dog printed sweater, Fall, fall fashion, fall outfit, fall style, fashion, floral, handbag, handkerchief scarf, how to, how to wear mustard, laura ashley, laura ashley usa, long pleated skirt, midi skirt, multi dog scarf, mustard, ootd, outfit, outfit inspo, pleated skirt, pop of colour, purse, scarves, small bag, style, style guide, style inspo, sweaters, wear to work, women's fashion, womens apparel, womens style, work outfit. Bookmark the permalink.